Here’s a list of all the Ben Graham Centre’s events that will be coming up in 2019, along with details and registration page. Stay tuned for our coverage of hopefully all these events! 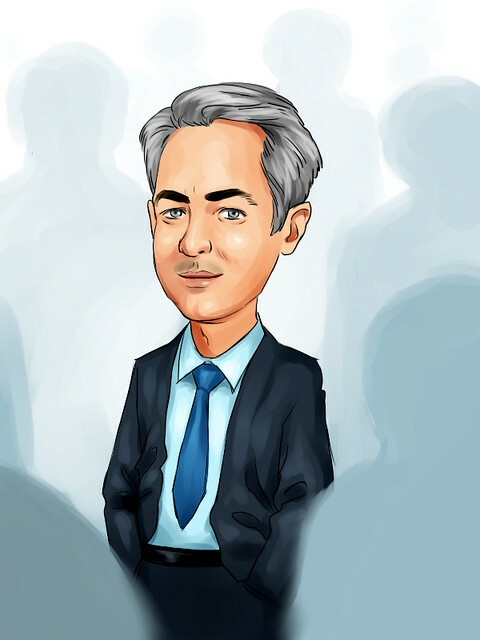 The Ben Graham Centre for Value Investing is holding its 2019 Value Investing Conference at the Ritz Carlton Hotel in downtown Toronto. The mission of the conference is to promote the tenets of value investing as pioneered by Benjamin Graham, to expose conference participants to the various value investing methods used by practitioners, and to encourage and support academic research and study in the area of value investing. NOTE: Those who attend the Conference can also attend the International MBA Stock Picking Competition (shown below) the day before for FREE. The Ben Graham Centre for Value Investing is holding its annual International MBA Stock Picking Competition at Ivey's Tangerine Leadership Centre in Toronto. Teams from MBA schools from around the world will compete for $14,000 in cash prizes as well as free attendance to the Ben Graham Centre’s Value Investing Conference and the Fairfax Financial Holdings Ltd. Annual General Meeting in Toronto, Canada. 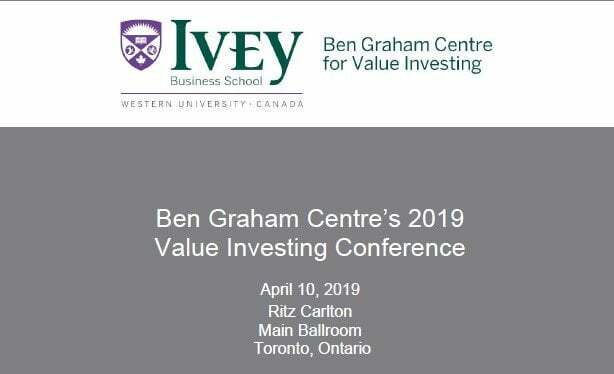 The Ben Graham Centre for Value Investing is holding an academic Symposium for researchers to gather and discuss their work on value investing and related topics at Ivey's Tangerine Leadership Centre in Toronto. Dr. George Athanassakos is offering a highly sought after five day Seminar on Value Investing and the Search for Value to finance executives, finance professionals, portfolio managers, financial analysts and individual investors seeking knowledge of value creation, valuation and value investing theory and practice.